We would rarely imagine metropolitan cities, supposedly “melting pots,” as being sites of caste-based crimes, as the urban arena could be expected to dissolve and obliterate caste distinctions. However, this is not the case. Caste is prima facie anonymous in urban India; some urban (upper-caste) Indians forcefully insist that caste is either dead or dying, as forces of urbanization, globalization and modernization are sweeping away antiquated social distinctions, and fostering a climate of meritocracy, which recognizes and rewards individual merit or ability on a level playing field. Underneath the twin myths of caste anonymity and meritocracy in urban India, lies the ugly reality of caste discrimination, which takes the form of residential segregation, discrimination in labor markets, educational disparities, overt and covert instances of untouchability. It is tempting to suggest that the most vulnerable in any society are often targets of violence, and therefore, while the violence is abhorrent, it is a reflection of the victims’ marginalization, i.e. if their conditions were better, they would be targeted less. Unfortunately, that is not true for India. The same kind of issue is faced by the Balmiki Community of Karol Bagh, India. Because of continuous discrimination based on caste identities, they do not get an opportunity to acquire a positive status for personal development in society and therefore engage in crimes. 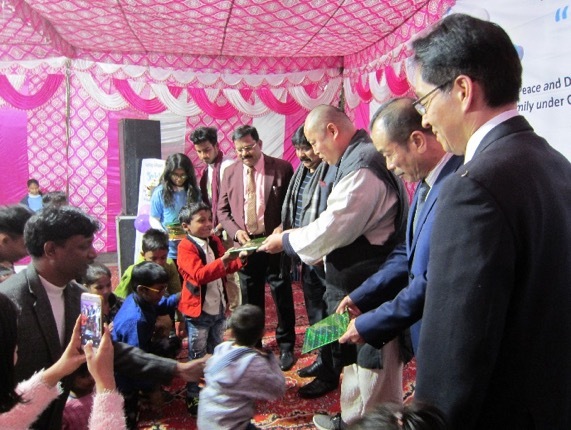 This is why Global Peace Foundation (GPF) India joined hands with the Ideal Youth Health and Welfare Society (IYHWS), an organization working for youth of Balmiki community for their education in Karol Bagh. 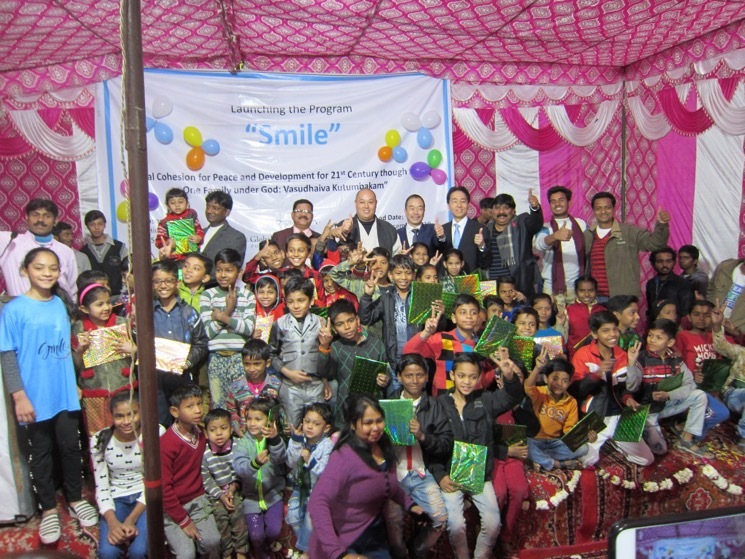 The collaborative program, which launched on December 20, 2018, called the “Smile” project, is bringing change by promoting just, peaceful, and inclusive societies. The goal of the Smile program is to build social cohesion within a diverse local community, mitigating sources of conflict and driving community development in partnership with youth leaders and local stakeholders. By engaging faith and traditional community leaders, youth and women leaders, and government representatives, the program works to build social cohesion and trust, and transforms attitudes and behaviors of individuals and groups to foster community engagement, creating opportunities for collaboration and thereby driving grassroots community development. The ongoing project will gather students, youth and families from the community, and community stakeholders every week for a values-based education program in which youth from both high-caste and low-caste society can participate in joint activities. The Smile program also provides English class three times a week and a music class twice a week. Present at the Smile launching event was Mr. Dhruba Prasad Lamichhane, National Representative of GPF India; the director of IYHWS, Vijay Kumar; Swami Shantatmananda, Secretary of the Ramakrishna Mission Delhi; Mr. Hideo Kawabata, CEO of Fuji Suiso Kansha; Dato Sri Foo Kok Leang, Vice President of United World Chinese Association from Malaysia; Mr. Aya Goto, Senior Vice President of GPF; and Mr. Shashank Shekhawat, a Film Producer and Community Representative.